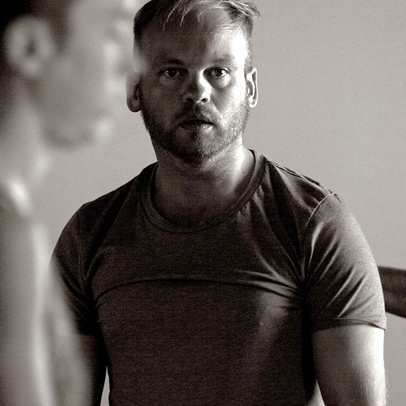 Robert Vesty - aside from teaching and research, works as a performer through theatre and dance and as a Feldenkrais practitioner. "After a degree in Drama & Theatre Arts, I trained as an actor at Welsh College of Music and Drama. Early in my career I worked with touring physical theatre companies, repertory theatres, and in storytelling and TIE. In recent years, my performance practice has shifted to take account of my interest in dance, and in particular improvisatory practices. Since 2009 I have worked with choreographer Rosemary Lee (RESCEN associate), in each of her Dance Umbrella commissions; with performance maker Kristin Fredricksson to create an instantly choreographed performance piece, Senior Moments, with people over 65 years old for Big Dance, and later Forest Fringe; and other companies such as Dog Kennel Hill. I am currently working with a stable of performer/dance artists called anthologyofamess developing a series of works using, predominantly, improvisation as a tool for making performance pieces. I would say that my performance practice is now firmly based in improvisatory methods that utilise both my acting and dance experience. I have been a Lecturer on the performance strand of the Theatre Arts programme since 2010. My teaching centres around actor-training, somatic practice (especially Feldenkrais), and improvisation. My research segues with my artistic practice. I am doing a PhD which is looking at the production of improvised speech in some improvisatory dance or movement-based performance practices. My research interests extend beyond improvisation to methods of actor training, identity, queer politics, democracy and class. I am a founding member of the research cluster - TransDisciplinary Improvisation Network (TIN) - hosted by Middlesex University. I am also a fully qualified practitioner of The Feldenkrais Method®."